Ben Orchiderous of the Big Island of Hawaii has built a cordwood shed (for practice) and a 16 sided cordwood home for living. Besides running an orchid nursery with 40,000 varieties, he also built a two story Earthwood style cordwood home in his spare time. Here are some photos and descriptions of this gorgeously awesome cordwood home in one of the most beautiful places in the world. His home is surrounded with orchids and native plants. This is the rainy side of the Big Island and provides the most perfect weather for orchid growing. That is why David moved his family to the Big Island. Rob Roy introduced me to David via email once he knew we were going to visit the Big Island. David was a gracious and engaging host. I thank Rob for his kindness in helping make the connection. David and his log end buddy. David hollowed out some of the rotten Ohia log ends and then put a colored panel on the outside of the log. The effect is very calming and colorful. Note the shelf with the sacred totem. Here is David in front of one of his 40,000 orchids! His practice building that got him started on his cordwood journey. It now serves as a potting shed. 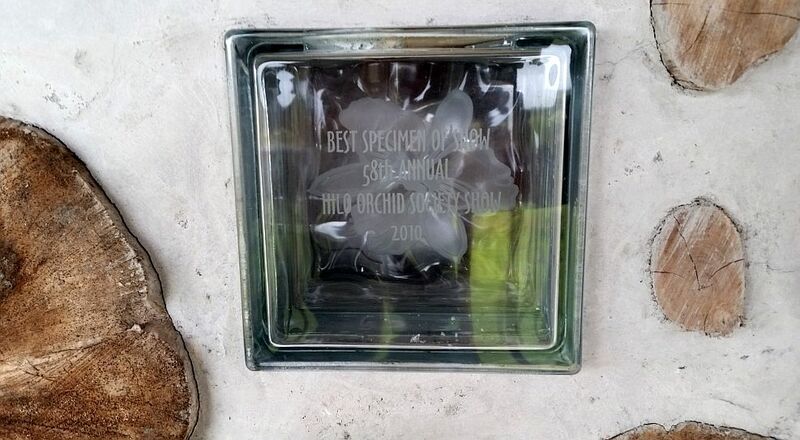 Best Specimen Award from the Hilo Orchid Society Show in 2010. The only thing David said he would suggest is putting a gated deck opeing on the 2nd floor. Much easier to move things in and out. There are stars in the wood! A good picture of David with his beautiful walls. The rafters are 4 x 12 Douglas Fir shipped over from Washington. Should you be interested in more information about cordwood building, please feel free to visit my website www.cordwoodconstruction.org, my Facebook page www.facebook.com/cordwoodconstruction and check out my Cordwood Online Bookstore (specializing in ebooks and print) by clicking on the picture of my latest book.